Catégorie: Les Physiocrates (1750-1780). Tags: Turgot. 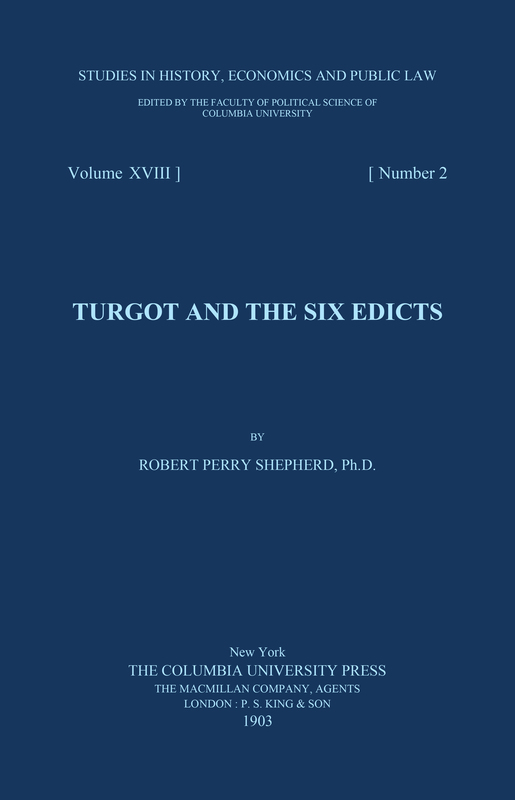 In this book, professor Shepherd offers a comprehensive study of the radical reforms enacted by Turgot in 1776, which aimed at establishing in France a free-market economy. At a time when the ancien régime was already falling apart, the newly appointed Minister tackled its most aberrant and archaic features by putting forward the freedom of labor, the freedom of trade, and the abolishment of economic privileges. Twenty years before the Révolution française, these bold reforms were designed to overhaul the monarchy and avoid turmoil. 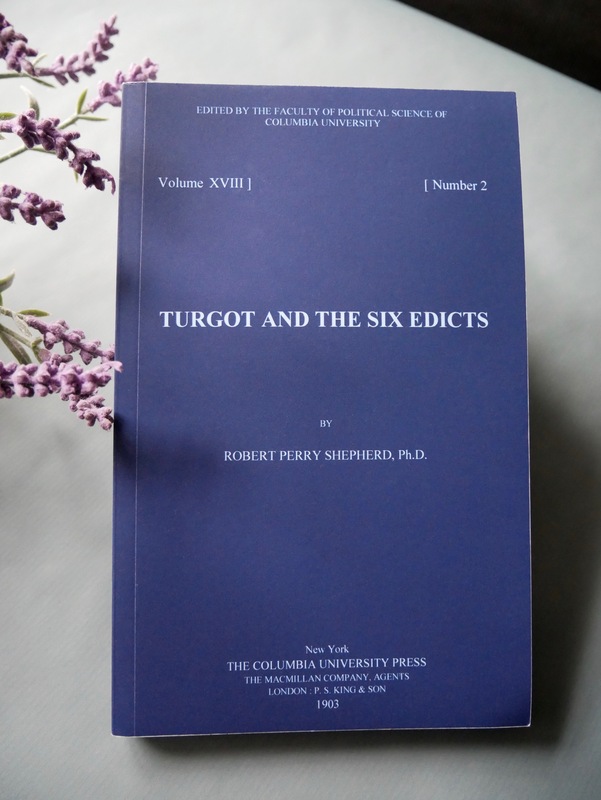 The author provides the first full translation of these six edicts and thus enable the reader to make sense of this very daring project. Sois le premier à donner ton avis “R. 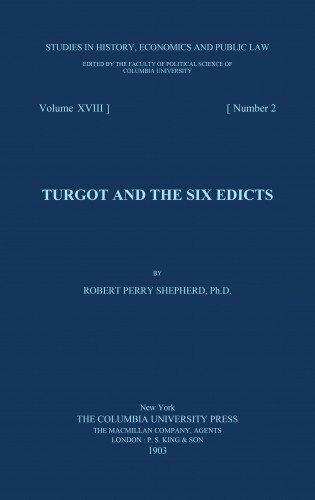 P. Shepherd – Turgot and the six Edicts” Annuler la réponse.